How adorable is this!!?! 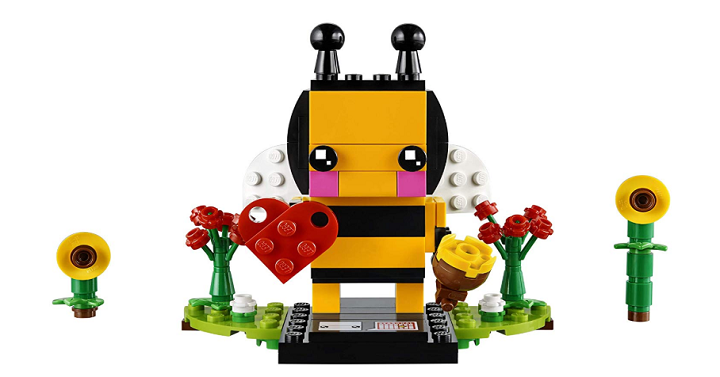 Head over to Amazon and get this Lego Brickheadz Valentine’s Bee for Just $7.99! Check out its cute pink cheeks, movable wings, detachable heart decoration, pot of honey, and roses and sunflowers. It also comes with a build-able collector’s base plate with a seasonal calendar and BrickHeadz logo for your loved one to display in their home, office or anywhere they like.